with chipset MTK 6577, 6582, 6589, 6592, 8382. Problem painful of all phones with the latest generation processors MTK was the system of Android installed on a primary partition very small! Now I have tried to increase the primary partition to approximately 13.38 gb! Now no one can say it is not enough for the primary partition to install applications! To saturate this partition it takes! To simplify I pulled my two files ebr1 and ebr2 to go and directly replace the firmware! 1) Change the primary partition to 2.49 gb. ( Mtk 6589 – 32gb ) . 3) Change the primary partition to 13.38 gb. ( Mtk 6589 – 32gb ) . 4 ) NEW Editing primary partition to 16GB . ( Mtk 6589 – 32gb ) . 5 ) NEW Editing primary partition to 20gb . ( Mtk 6589 – 32gb ) . 6) NEW Editing primary partition to 27GB . ( Mtk 6589 – 32gb ) . 1) Change the primary partition to 2.49 gb. ( Mtk 6577 and 6589 4GB – 16GB ) . 3) New Primary Partition up to 11gb. (Mtk 8382 16gb). 4 ) NEW Editing primary partition to 13GB . ( Mtk 6589 – 16gb ) . 5 ) NEW Editing primary partition to 7GB . ( Mtk 6592 – 16gb ) . 6 ) NEW Editing primary partition to 10GB . ( Mtk 6592 – 16gb ) . 7 ) NEW Editing primary partition to 13,29 GB . ( Mtk 6592 – 16gb ) . 8) New Editing primary partition to 4 gb. (Mtk 6582 8-16gb). 9) New Editing primary partition to 6 gb. (Mtk 6582 8-16gb). 10) New Editing primary partition to 8 gb. (Mtk 6582 8-16gb). 11) New Editing primary partition to 12 gb. (Mtk 6582 8-16gb). 1) New Primary Partition up to 5,4 gb. (Mtk 6589 8gb). 2) New Editing primary partition to 4 gb. (Mtk 6582 8-16gb). 3) New Editing primary partition to 6 gb. (Mtk 6582 8gb). 4 ) NEW Editing primary partition to 4GB . ( Mtk 6592 – 8-16-32gb ) . 1) Change the primary partition to 2.49 gb. ( Mtk 6577 4gb ) . 2) Change the primary partition to 3GB . ( Mtk 6577 – 4gb ) . 3) Change the primary partition of 2.5 gb. ( Mtk 6582 4gb ) ( zp700-zp780 ) . 4) Change the primary partition to 3 gb. ( Mtk 6582 4gb ) . 1) New Editing Primary Partition to 4Gb for KitKat O.S. (Mtk 6592 – 8-16gb). 2) New Editing Primary Partition to 8Gb for KitKat O.S. (Mtk 6592 – 16gb). 3) New Editing Primary Partition to 10Gb for KitKat O.S. (Mtk 6592 – 16gb). 4) New Editing Primary Partition to 13,19Gb (max possible on octa core) for KitKat O.S. (Mtk 6592 – 16gb). 1) New Editing Primary Partition to 1,49 Gb for KitKat O.S. (Mtk 6582 4-8-16-32gb). 2) New Editing Primary Partition to 2,1 Gb for KitKat O.S. (Mtk 6582 4-8-16-32gb). 3) New Editing Primary Partition to 2,44 Gb for KitKat O.S. (Mtk 6582 8-16-32gb). 4) New Editing Primary Partition to 3 Gb for KitKat O.S. (Mtk 6582 8-16-32gb). 5) New Editing Primary Partition to 4 Gb for KitKat O.S. (Mtk 6582 16-32gb). 6) New Editing Primary Partition to 6 Gb for KitKat O.S. (Mtk 6582 16-32gb). 7) New Editing Primary Partition to 8 Gb for KitKat O.S. (Mtk 6582 16gb). 8) New Editing Primary Partition to 10 Gb for KitKat O.S. (Mtk 6582 16-32gb). 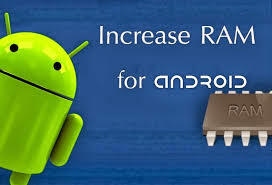 « Bootanim Android Developers Tools !!!! !